If you’re looking for waterproof rubber work boots that do more than keep the water out, look no further than the Bogs Boots, specifically the Journeyman STMG, available at Working Person’s Store. We know that safety, comfort, and functionality are top priorities when it comes to choosing work boots and these Bogs Boots have all these qualities and more. The Bogs Journeyman Steel Toe Met-Guard Boots (52426), an industrial 15-inch steel toe boots lock out water with durable, high-performance rubber that protects you from the elements. 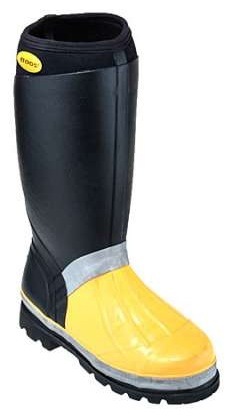 On the inside, these rubber boots are equipped with a dual-density Ortholite insole. The insole wicks moisture with New Channel Air technology to keep feet dry and also provides cushioning for comfort all day long. With a lining that insulates and circulates air, these waterproof rubber boots keep feet dry and warm even in temperatures as low as -20 F.
With the Bogs Journeyman STMG, you’ll have the best in protection and safety. This sturdy, durable, steel toe boots are complete with a Poron metatarsal guard and Bio-Grip ASTM-approved chemical and slip-resistant outsoles. Even though the Bogs Journeyman STMG is packed with safety features and toughness, it still promises the best in user fit and comfort. These Journeyman boots provide maximum support and movement with a contoured fit that features a wider forefront and narrower heel. A four-way stretch outer shell reduces friction points and gives you a snug and secure fit. 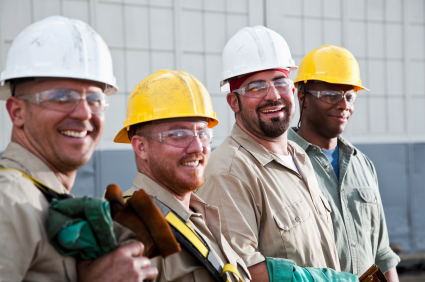 In your job, safety and protection should never be compromised. With the Bogs Journeyman STMG, you can be confident in their protection against the elements, even sub-zero temperatures, wet conditions and uneven terrain. 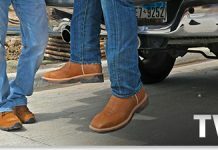 For full product details or to order your own pair, visit WorkingPerson.com.